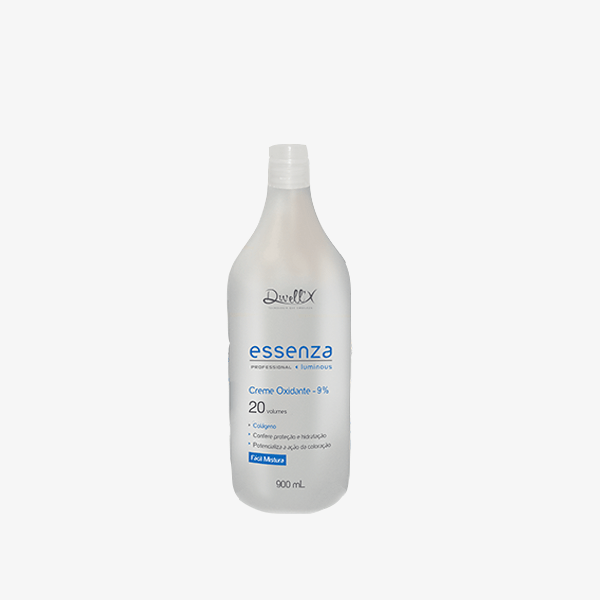 Developed to perform a complete hygiene in the hair, removing all residuals from previous treatments and preparing perfectly for the action of Defrizante. Gently scented oxidizing cream emulsion. Its creaminess and consistency facilitate mixing with the mass of the coloring and the dispersion of the decolorizing powder. It enhances the action of coloring and bleaching powder. Activates coloring and discoloration. Protects and moisturizes wires. It gives emolience. Improves flexibility and suppleness. Leaves hair soft. Hair with shiny colors, healthy and soft. In a non-metallic container, follow the recommended dosage in coloring or bleaching powder.